Join us for an evening of Breathwork and Gong Healing at Soul Body Ojai. We will be tapping into the Full Moon energy and creating some space for you to ground and prepare for the Thanksgiving Holliday. Holidays can often be a challenging time for people- and some good relaxation before they begin will help you navigate your way through the family dynamics. Our circle will open with sharing and setting an intention for the healing. 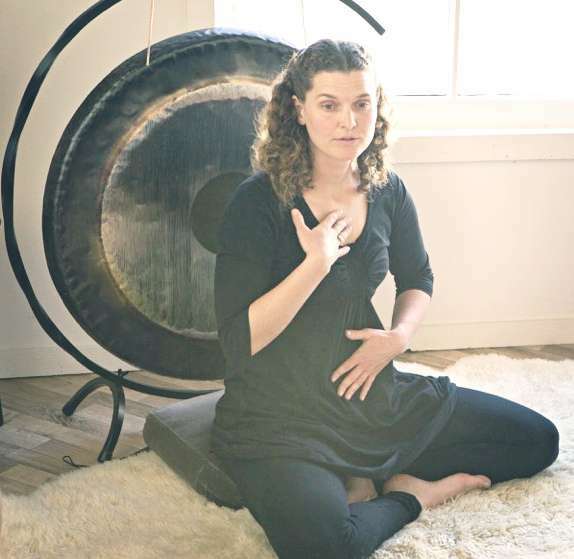 After our opening sharing- Alison McKelvie Eakin will use her voice and the drum to guide participants in a guided meditation using an ancient 2 stage Pranayama Yoga (breath work) followed by a relaxing Gong Healing. The breathwork is a wonderful tool for opening the heart and connecting with your true essence. The breath work is an active meditation that will gently return you into the source of who you are. This simple breathing technique opens the flow of universal energy into your body so that you can clear out old, stuck, negative energy. Enjoy the feeling of lightness and freedom that self-love brings. Discover your beauty, your power, and your true essence! Alison creates a safe space for people to open up and let go of what is no longer serving them. With the use of visualizations, music, essential oils, gong, flute and singing bowls she provides the container for you to journey into yourself. Alison loves guiding her clients in the breath work because she has experienced firsthand the healing powers of this breathing technique. The breath work opened her up to connect with her essence and soul in a profound way, connecting her with the Divine that is within.